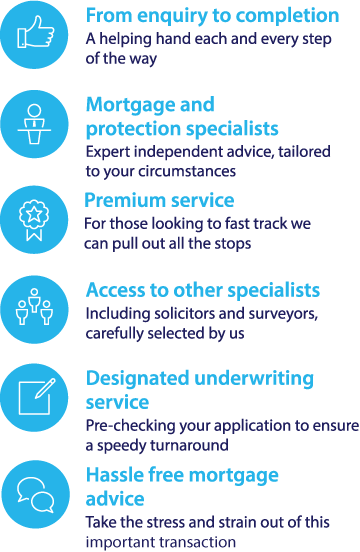 To investigate your Buckingham BS mortgage options, call our mortgage team on 0117 313 7780 or fill in our callback form. Whether you’re looking to move home or buy a property to rent out, Buckinghamshire Building Society could have a mortgage that suits your requirements. Buckinghamshire Building Society assesses each mortgage application on a case by case basis, which can be helpful for those with a non-traditional income stream such as self employed people. Use our FREE online mortgage calculator to help you find the latest mortgage deals from Buckinghamshire Building Society – alternatively, call us on 0117 313 7780 or complete our callback request form. Standard variable rate mortgages – Your payments will vary according to the Buckinghamshire Building Society Standard Variable Rate (SVR). Discounted rate mortgages – Receive a discount on the Buckinghamshire Building Society SVR for the first three years of the mortgage. Stepped discounted rate mortgages – Receive a discount over the first three years of the mortgage, gradually reducing until payments revert to the Buckinghamshire Building Society SVR. Buy to let mortgages – Buy a property to rent out and choose from capital and interest or interest only repayments. The Buckinghamshire Building Society was founded in 1907 in Chalfont St Giles as the Chalfont & District Permanent Building Society. The name was changes to Buckinghamshire Building Society in 1961. Today, the Buckinghamshire Building Society is still an independent mutual building society that is owned by its members. The Buckinghamshire Building Society currently offers a selection of mortgages deals for buyers across England and Wales. To compare the latest Buckinghamshire Building Society mortgage deals with other leading mortgage rates and find the best deals for you, use the mortgage calculator to search over 5,000 mortgage offers based on your personal circumstances.